Hey you, yes YOU. I see you there searching for the secret sauce to getting your business seen. There's a lot of noise online, but did you know it IS possible to learn the strategy, tools + tech that will get you there? You might be thinking you don't have time for anything else. I know, I know...kids, family, dinner, laundry, your main gig and now this side hustle. You'd give anything to make it your main gig. 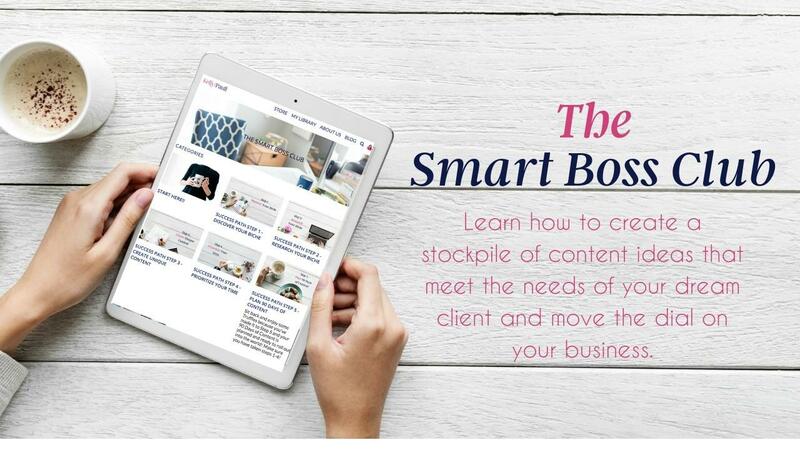 What you need is someone who can wade through all.the.things and present you with ACTIONABLE bite sized chunks of knowledge that make you the smartest boss on the block! You need to be able to consume it quickly and come back to it later when you don't have someone yelling, "Mom, mom, MOOOOOM!" from the other room. You prefer to learn via video tutorials + blog type posts just one or two effective ways to do what is working best right now. You're worried you might miss out on the next big thing, but you don't have the time or inclination to do all that research...isn't there some geek out there who can do all this for you? [AHEM] I'm right here, ready to teach you how to be EVEN more badass in your business than you already are!